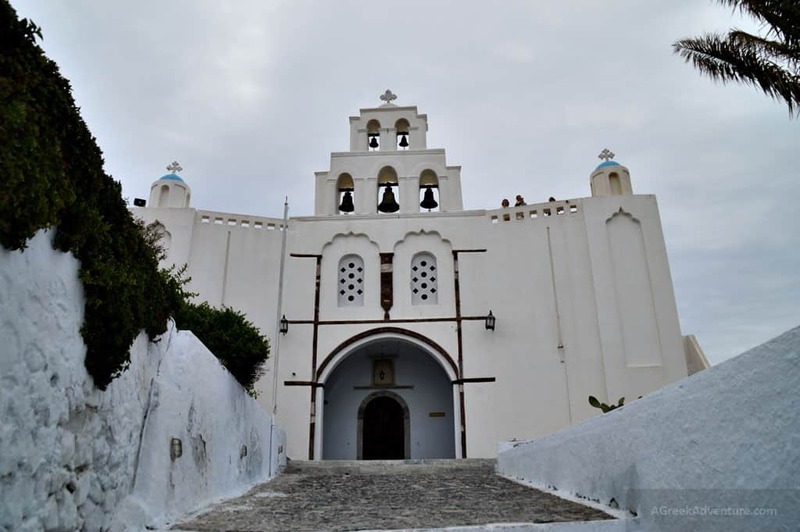 If you visit Santorini during Orthodox Easter time, everyone will tell you to make sure to visit Santorini Pyrgos Village on Good Friday (in Greek: Megali Paraskevi). 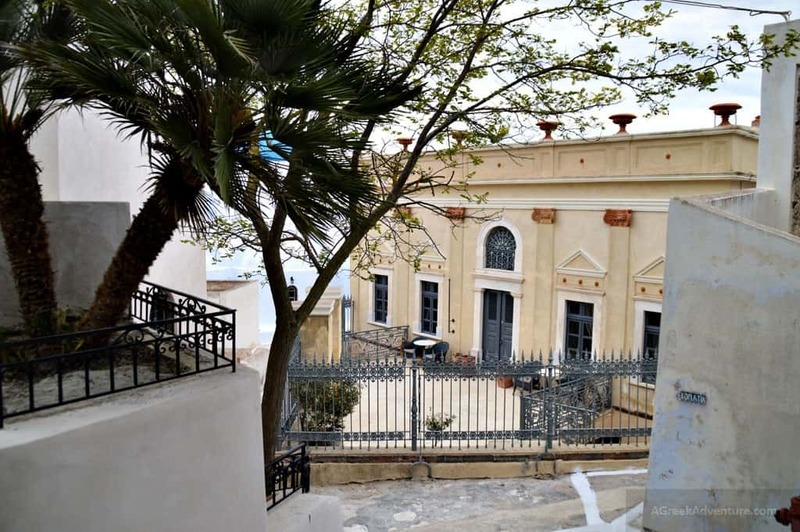 Pyrgos means “Tower” in Greek. 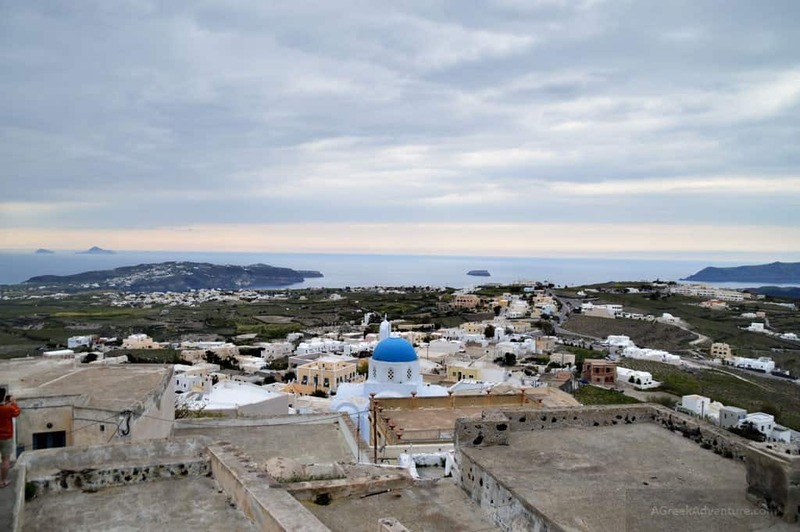 It is the highest village of the whole island so it provides panoramic view to both sides of the island. In Easter period they have a custom where they set thousands of little fires all over the castle area and church. 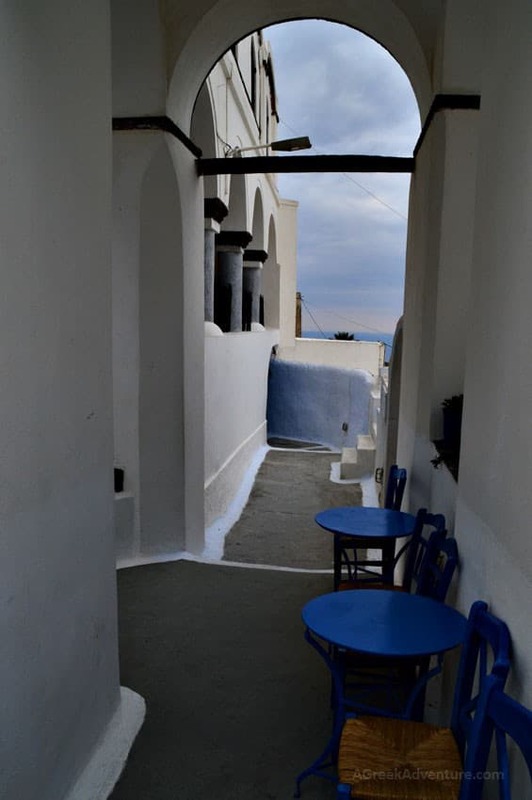 The view (at night time) is spectacular and Pyrgos is just 7km outside Thira, if you stay there. 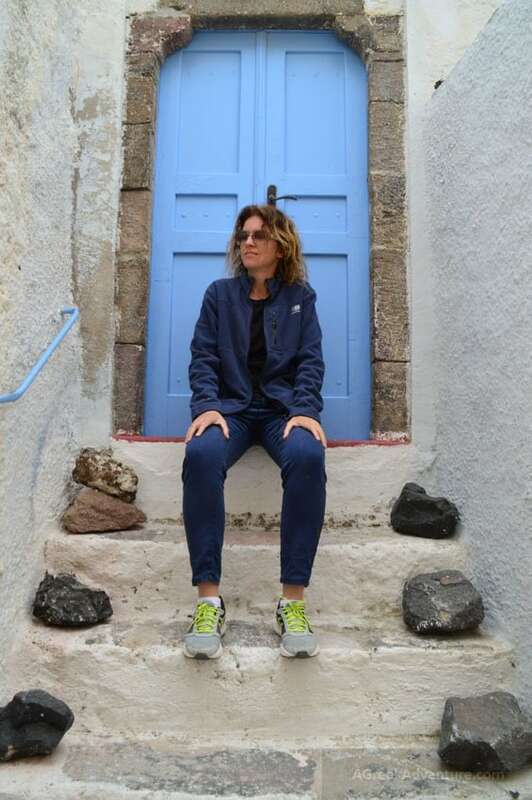 However, Pyrgos is a nice village to visit outside the Easter season, even for a walk. 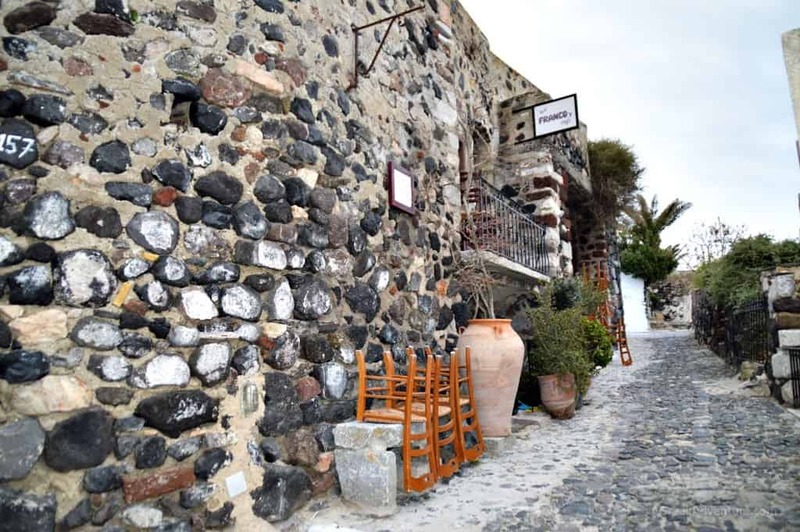 As you enter the village you will find some pretty nice taverns with relatively good food. 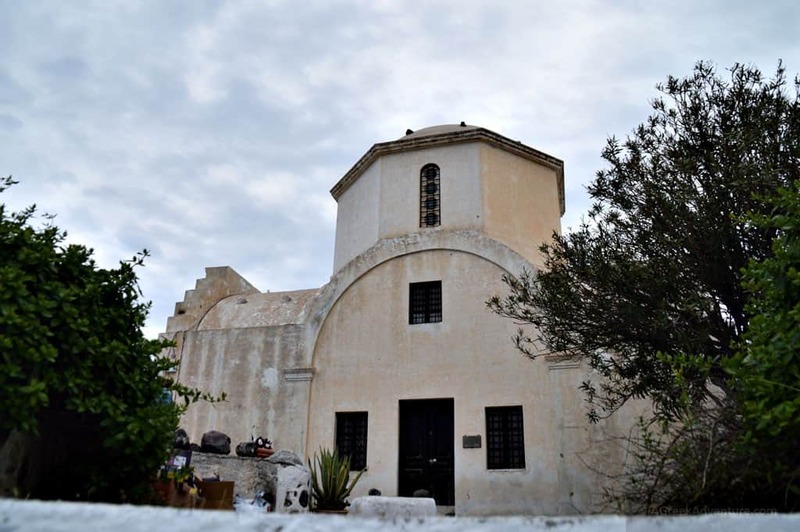 However, the main attraction is the tower and church at the top, along with all the small alleys on your way there. 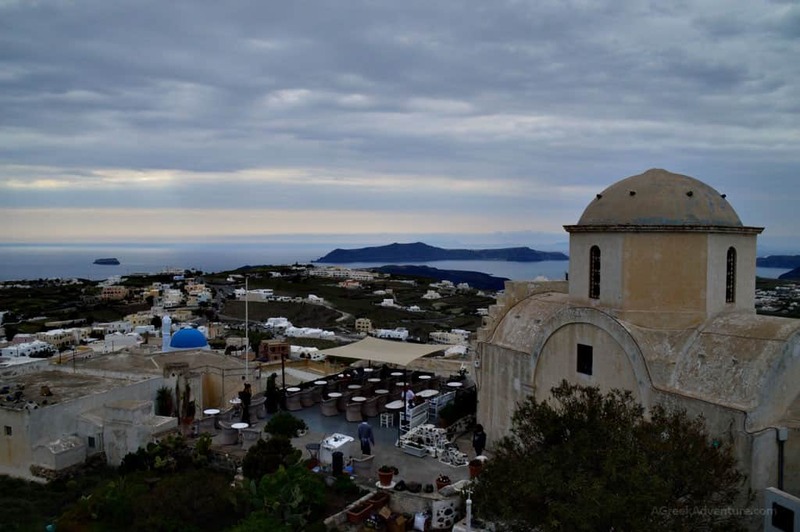 There is also a very nice small coffee/wine house where you can enjoy a refreshment at the roof, along with gazing the surrounding view. It is called Franco. Below is the view from the terrace of Franco’s. Nice place for a break, right? 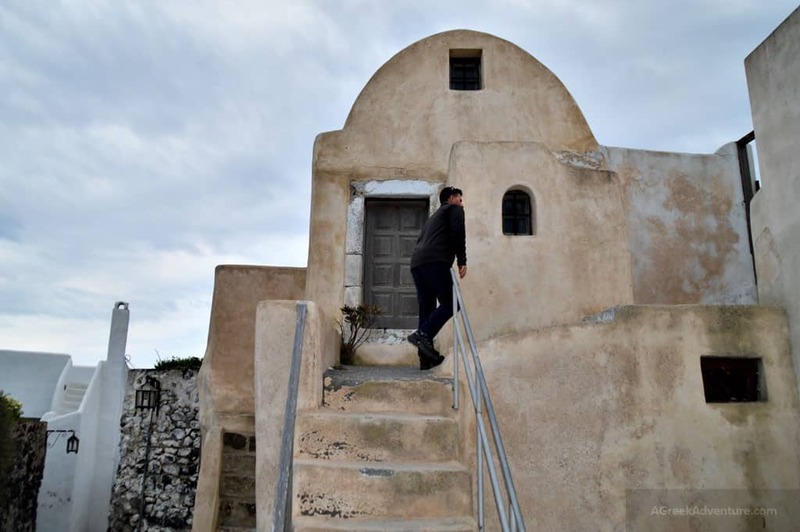 Seems most people visit Pyrgos in order to take photos at the rooftops of the church and through the tower. Here we are seeking a way to the roof. 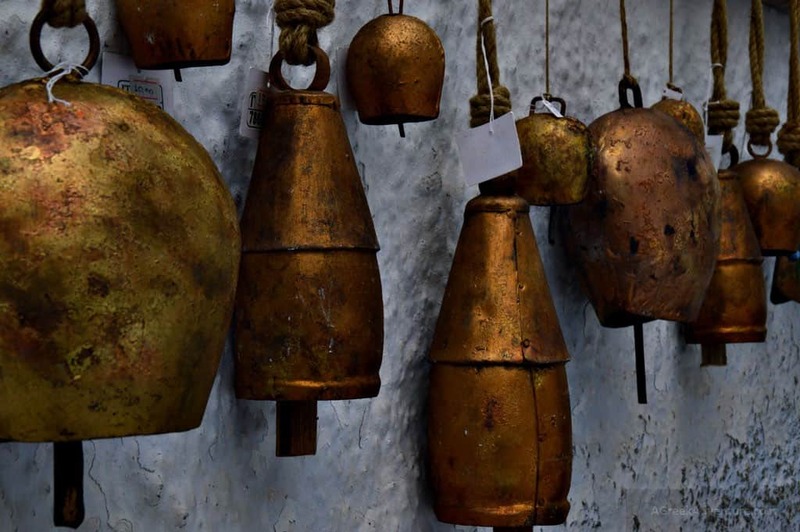 In various alleys there is a small variety of tourist shops with local products and artifacts. 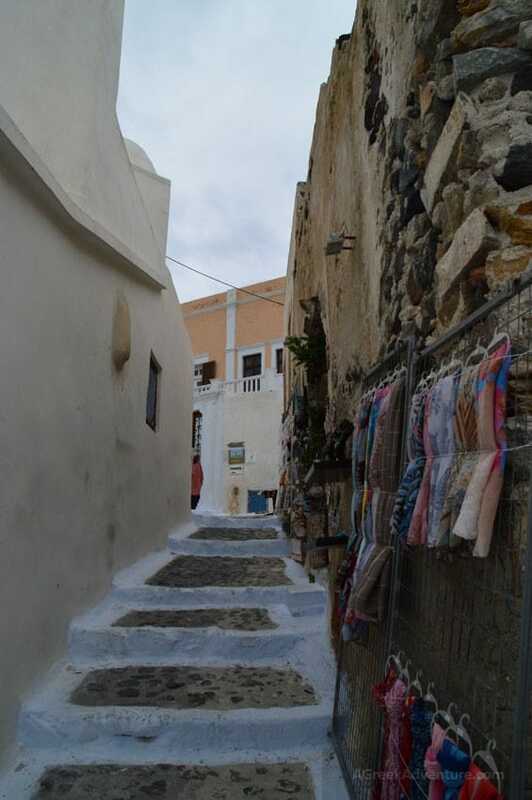 We walked all these alleys to experience the local architecture, which seems to vary from the one of the caldera villages of Santorini. 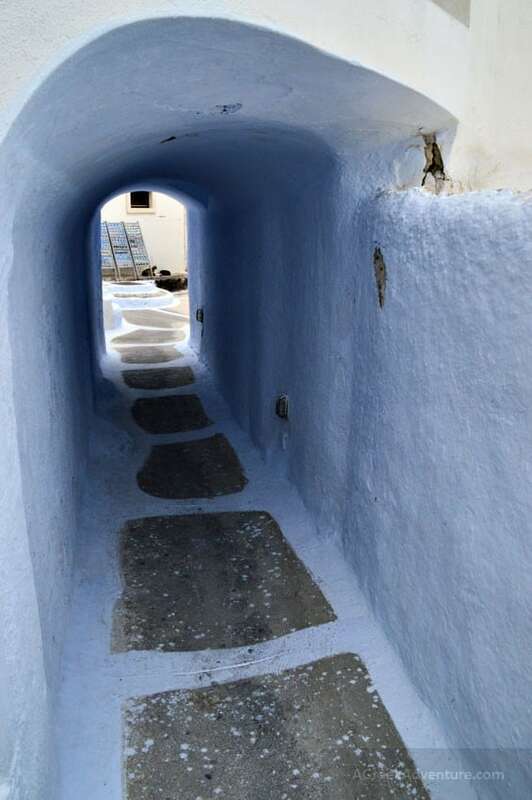 When you visit Pyrgos, make sure to do it during day time, as the light is perfect in Santorini. We had a bit of cloudy weather, as you see. 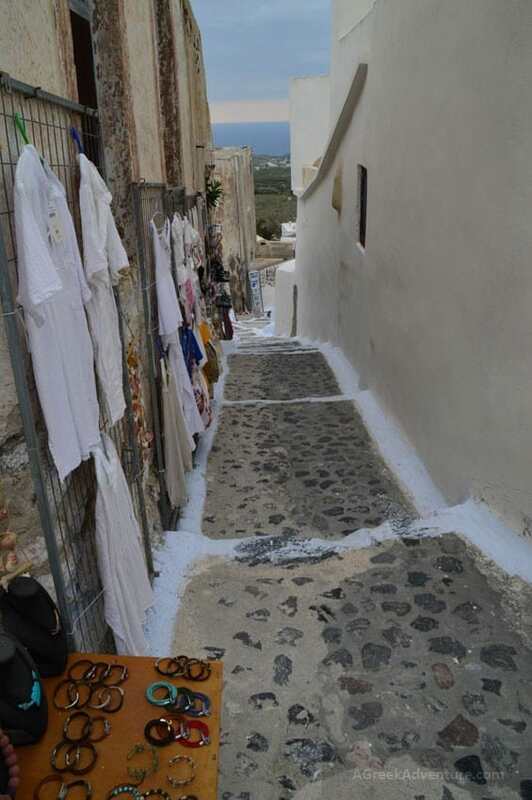 So, we had a nice time there but Pyrgos wouldn’t be our village of preference (when it comes to accommodation). However, it is a nice place not very far from the popular villages and worth to visit. 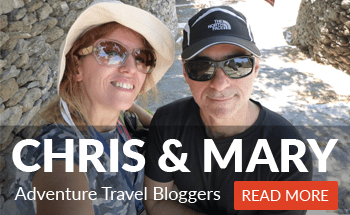 Make sure to read more of our articles about Santorini.